Native American religions are the spiritual practices of the Indigenous peoples in North America. Traditional Native American ceremonial ways can vary widely, and are based on the differing histories and beliefs of individual tribes, clans and bands. Early European explorers describe individual Native American tribes and even small bands as each having their own religious practices. Theology may be monotheistic, polytheistic, henotheistic, animistic, or some combination thereof. Traditional beliefs are usually passed down in the forms of oral histories, stories, allegories and principles, and rely on face to face teaching in one's family and community. Pre-Columbian Native spirituality in the Americas spanned the forms of animism, polytheism, the use of plants to enter higher mental or spiritual states, special dances or rituals, and a high regard for the overall well-being of the tribe. Some of these practices continue today in private tribal ceremonies. From the 1600s European Catholic and Protestant denominations sent missionaries to convert the tribes to Christianity. These conversions often occurred through government and Christian church cooperative efforts that forcibly removed Native American children from their families into a Christian/state government-operated system of American Indian boarding schools (aka The Residential Schools) where Native children were indoctrinated in European Christian beliefs, mainstream white culture and the English language. This forcible conversion and suppression of Indigenous languages and cultures continued through the 1970s. As part of the US government's suppression of traditional Indigenous religions, most ceremonial ways were banned for over 80 years by a series of US Federal laws that banned traditional sweat lodge and sun dance ceremonies, among others. This government persecution and prosecution continued until 1978 with the passage of the American Indian Religious Freedom Act (AIRFA). Some non-Native anthropologists estimate membership in traditional Native American religions in the 21st century to be about 9000 people. Since Native Americans practicing traditional ceremonies do not usually have public organizations or membership rolls, these "members" estimates are likely substantially lower than the actual numbers of people who participate in traditional ceremonies. Native American spiritual leaders also note that these academic estimates substantially underestimate the numbers of participants because a century of US Federal government persecution and prosecutions of traditional ceremonies caused believers to practice their religions in secrecy. Many adherents of traditional spiritual ways also attend Christian services, at least some of the time, which can also affect statistics. Since the 80 years of those prior legal persecutions ended with AIRFA, some sacred sites in the United States are now protected areas under law. The Bole-Maru Religion was a religious revitalization movement of the Maidu, Pomo, Wintun, and other tribes of north-central California in the 19th century. Bole is a Wintun word (a Penutian language), maru is a Pomo word (a Hokan language); both refer to the dreams of medicine people. They both draw on traditional as well as Christian beliefs and ethical guidelines, with revelations from dreams playing a central role. Some of the dances of this religion were the Bole or Maru dance, the Bole-Hesi Dance, and the Ball Dance. In these dances, dancers wore large headdresses. Europeans brought their Christian religion to the Americas. Missionaries from different Christian sects established missions and religious schools among Native peoples. According to Jacob Neusner, Native American Christianity is often "fundamentalist in theology, conservative in their practice, and often revivalistic and evangelical." Christianity was seen by government officials as a tool in cultural assimilation; many Native American Christians developed a syncretic combination of their traditional belief systems and Christianity, as with the Native American Church. For example, St. David Pendleton Oakerhater (Cheyenne), who was canonized as an Episcopal saint but was a Sun Dancer, as well. According to James Treat, Native American Christians "have constructed and maintained their ... religious identities with a variety of considerations in mind.... Many native Christians accomplish this identification without abandoning or rejecting native religious traditions." The Dream Dance, a religious revitalization movement of the Klamath and Modoc, evolved out of the Ghost Dance and Earth Lodge Religion. It involved the power of dreams and visions of the dead. Unlike the Klamath and Modoc religions the Dream Dance did not predict an apocalypse and return of the dead. The religion was only practiced a short time in Oregon in the early 20th century. One of the founders was the Modoc medicine woman commonly known as Alissa Laham. The Drum Religion, also known as the "Big Drum", "Drum Dance", or "Dream Dance", originated around 1890 among the Santee Dakota (or Eastern Dakota). It spread through the Western Great Lakes region to other Native American tribes such as the Ojibwe (Chippewa), Meskwaki (Fox), Kickapoo, Menominee, Potawatomi, Ho-chunk (Winnebago) and others. It was a religious revitalization movement created to encourage a sense of unity of Native peoples through rituals. These rituals included the playing and keeping sacred drums and the passing of sacred knowledge from tribe to tribe. The Feather Religion is a revitalization movement of the Pacific Northwest. It draws on elements of both the earlier Indian Shaker Religion and the Waashat Religion. The religion was founded in 1904 by Jake Hunt a Klickitat medicine man. It is also referred to as the Feather Dance or the Spinning Religion. Sacred eagle feathers are used in ceremonies, one of which involves ritual spinning, hence the name Waskliki for "Spinning Religion". "Ghost Dance" is a very general term that encompasses different religious revitalization movements in the Western United States. In 1870, a Ghost Dance was founded by the Paiute prophet Wodziwob, and in 1889–1890, a Ghost Dance Religion was founded by Wovoka (Jack Wilson), who was also a Northern Paiute. Ghost Dance practices are meant to serve as a connection with precontact ways of life and honor the dead while predicting their resurrection. In December 1888, Wovoka, who was thought to be the son of the medicine man Tavibo (Numu-tibo'o), fell sick with a fever during an eclipse of the sun, which occurred on January 1, 1889. Upon his recovery he claimed that he had visited the spirit world and the Supreme Being and predicted that the world would soon end, then be restored to a pure aboriginal state in the presence of the messiah. All Native Americans would inherit this world, including those who were already dead, in order to live eternally without suffering. In order to reach this reality, Wovoka stated that all Native Americans should live honestly, and shun the ways of whites (especially the consumption of alcohol). He called for meditation, prayer, singing, and dancing as an alternative to mourning the dead, for they would soon resurrect. Wovoka's followers saw him as a form of the messiah and he became known as the "Red Man's Christ." Tavibo had participated in the Ghost Dance of 1870 and had a similar vision of the Great Spirit of Earth removing all white men, and then of an earthquake removing all human beings. Tavibo's vision concluded that Native Americans would return to live in a restored environment and that only believers in his revelations would be resurrected. This religion spread to many tribes on reservations in the West, including the Shoshone, Arapaho, Cheyenne, and Sioux (Dakota, Lakota, and Nakota). In fact, some bands of Lakota and Dakota were so desperate for hope during wartime that they strengthened their militancy after making a pilgrimage to Nevada in 1889–1890. They provided their own interpretation of the Gospel to their people which emphasized the elimination of white people. A Ghost Dance gathering at Wounded Knee in December 1890 was invaded by the Seventh Cavalry, who massacred unarmed Lakota and Dakota people. The earliest Ghost Dance heavily influenced religions such as the Earth Lodge, Bole-Maru Religion, and the Dream Dance. The Caddo Nation still practices the Ghost Dance today. Also known as Tschadam, the Indian Shaker Religion was influenced by the Waashat Religion and founded by John Slocum, a Squaxin Island member. The name comes from the shaking and twitching motions used by the participants to brush off their sins. The religion combines Christianity with traditional Indian teachings. This religion is still practiced today in the Indian Shaker Church. 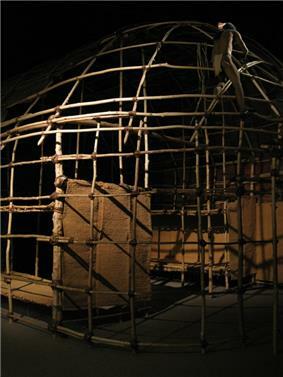 This replica of an Iroquois longhouse represents where the traditional practices of the Native religion took place. The Longhouse Religion, founded in 1776 by Seneca Handsome Lake, revitalized Native American religion among the Iroquois. The doctrine of the Longhouse Religion, also called the Handsome Lake Religion is the Gaiwiio, or "Good Word". Gaiwiio combines elements of Christianity with long-standing Iroquois beliefs. The Longhouse Religion is still practiced by the Iroquois today. Mexicayoal (Nahuatl word meaning "Essence of the Mexican", "Mexicanity"; Spanish: Mexicanidad; see -yotl) is a movement reviving the indigenous religion, philosophy and traditions of ancient Mexico (Aztec religion and Aztec philosophy) amongst the Mexican people. The movement came to light in the 1950s, led by Mexico City intellectuals, but has grown significantly on a grassroots level only in more recent times, also spreading to the Chicanos of North America. Their rituals involve the mitotiliztli. The followers, called Mexicatl (singular) and Mexicah (plural), or simply Mexica, are mostly urban and suburban people. The Mexicayotl movement started in the 1950s with the founding of the group Nueva Mexicanidad by Antonio Velasco Piña. In the same years Rodolfo Nieva López founded the Movimiento Confederado Restaurador de la Cultura del Anáhuac, the co-founder of which was Francisco Jimenez Sanchez who in later decades became a spiritual leader of the Mexicayotl movement, endowed with the honorific Tlacaelel. He had a deep influence in shaping the movement, founding the In Kaltonal ("House of the Sun", also called Native Mexican Church) in the 1970s. From the 1970s onwards Mexcayotl has grown developing in a web of local worship and community groups (called calpulli or kalpulli) and spreading to the Mexican Americans or Chicanos in the United States. It has also developed strong ties with Mexican national identity movements and Chicano nationalism. Sanchez's Native Mexican Church (which is a confederation of calpullis) was officially recognised by the government of Mexico in 2007. Peyote's illegal status in the United States prevents non-Indians from participating in peyote ceremonies. 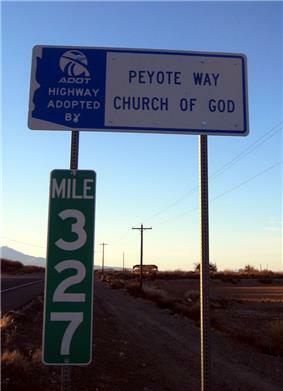 The Peyote Religion, also called the "Peyote Cult", "Peyote Road", and the "Peyote Way", is a religious movement involving the ritual use of Lophophora williamsii (peyote). Use of peyote for religious purposes is thought to have originated within one of the following tribes: the Carrizo, the Lipan Apache, the Mescalero Apache, the Tonkawa, the Karankawa, or the Caddo, with the Plains Cree, Carrizo and the Lipan Apache being the three most likely sources. Since then, despite several efforts to make peyote ceremonies illegal, ritual peyote use has spread from the Mexico area to Oklahoma and other western parts of the United States. Notable Native American Church (NAC) members include Quannah Parker, the founder of the NAC, and Big Moon of the Kiowa tribe. The Waashat Religion is also called the Washani Religion, Longhouse Religion, Seven Drum Religion, Sunday Dance Religion, Prophet Dance, and Dreamer Faith. The Wanapam Indian Smohalla (c. 1815–1895) used wáashat rituals to build the religion in the Pacific Northwest. Smohalla claimed that visions came to him through dreams and that he had visited the spirit world and had been sent back to teach his people. The name waasaní spoke to what the religion was about; it meant both dancing and worship. He led a return to the original way of life before white influences and established ceremonial music and dancing. Smohalla's speaking was called Yuyunipitqana for "Shouting Mountain". The religion combined elements of Christianity with Native beliefs, but it rejected white-American culture. This made it difficult to assimilate or control the tribes by the United States. The U.S. was trying to convert the Plains tribes from hunter-gatherers to farmers, in the European-American tradition. They wanted to remake the Natives, but found a problem with those who followed the Dreamer Cult: "Their model of a man is an Indian ...They aspire to be Indian and nothing else." The sun dance is a religious ceremony practiced by a number of Native American and First Nations Peoples, primarily those of the Plains Nations. Each tribe that has some type of sun dance ceremony has their own distinct practices and ceremonial protocols. In most cases, the ceremony is held in a private, or even secret, location, and is not open to the public. Most details of the ceremony are kept secret out of great respect for, and the desire for protection of, the traditional ways. Many of the ceremonies have features in common, such as specific dances and songs passed down through many generations, the use of traditional drums, the sacred pipe, praying, fasting and, in some cases, the piercing of skin. Prophets in native religions include Popé, who led the Pueblo revolt in 1675, Quautlatas, who inspired the Tepehuan Revolt against the Spanish in 1616, Neolin, Tenskwatawa, Kenekuk, Smohalla, John Slocum, Wovoka, Black Elk and many others. The Religious Freedom Restoration Act was a congressional reaction to Supreme Court cases that limited the religious freedom of individuals by placing an unnecessary burden on their exercise of religion. The law provided for relief from government burdens on religion with two exceptions. A burden can be placed on the exercise of religion if a compelling government interest is pursued in the least restrictive way possible. The United Nations Declaration on the Rights of Indigenous Peoples was adopted by the United Nations General Assembly during its 61st session at UN Headquarters in New York City on 13 September 2007. Article 31 in particular emphasises that Indigenous Peoples have the right to their cultural heritage, including ceremonial knowledge, as protected intellectual property. ^ James T. Richardson (2004). Regulating Religion: Case Studies from Around the Globe. Springer. p. 543. ^ United States (2013). 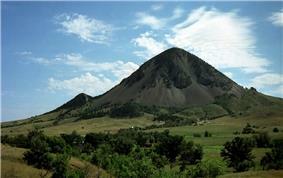 Indian sacred sites: balancing protection issues with federal management. America in the 21st century : political and economic issues. Christopher N. Griffiths (ed.). New York: Nova Science Publishers, Inc.
^ Kee, Howard Clark, et al. Christianity: A Social and Cultural History. 2nd Ed. Prentice Hall: New Jersey, 1998. P. 388. ^ Neusner, Jacob, ed. World Religions in America: An Introduction. Westminster. John Knox Press: Louisville, 2003. P. 18. ^ a b Ellis, Clyde. "American Indian and Christianity". Oklahoma Historical Society's Encyclopedia of Oklahoma History and Culture. Retrieved 25 May 2013. ^ Cross, Phil. "Caddo Songs and Dances". Caddo Legacy from Caddo People. Retrieved 27 Nov 2012. ^ a b c Susanna E. Rostas. Mexicanidad: The Resurgence of the Indian in Popular Mexican Nationalism. University of Cambridge, 1997. ^ Tlacaelel Francisco Jimenez Sanchez biography. In Kaltonal, 2005. ^ Zotero Citlalcoatl. AMOXTLI YAOXOCHIMEH. ^ Religión prehispánica renace en el siglo 21. Vanguardia, 2008. ^ a b c d e f g h i j k l m n Andrew H. Fisher. "American Indian Heritage Month: Commemoration vs. Exploitation". Retrieved 2012-01-04. Getches, David H., Wilkinson, Charles F., Williams, Robert A. Jr. "Cases and Materials on Federal Indian Law- Fifth Edition." Thomas West Company: United States, 1998. ISBN 978-0-314-14422-5. Neusner, Jacob, ed. World Religions in America: An Introduction. Westminster John Knox Press: Louisville, 2003. ISBN 978-0-664-22475-2. Utter, Jack. American Indians: Answers to Today’s Questions. 2nd edition. University of Oklahoma Press, 2001. ISBN 978-0-8061-3313-3.